“The Shadow of Dia-Sust” chronologically follows the five adventures presented in my 1983 collection Death in Asakad and Other Stories (published under the title The Ghost Army). 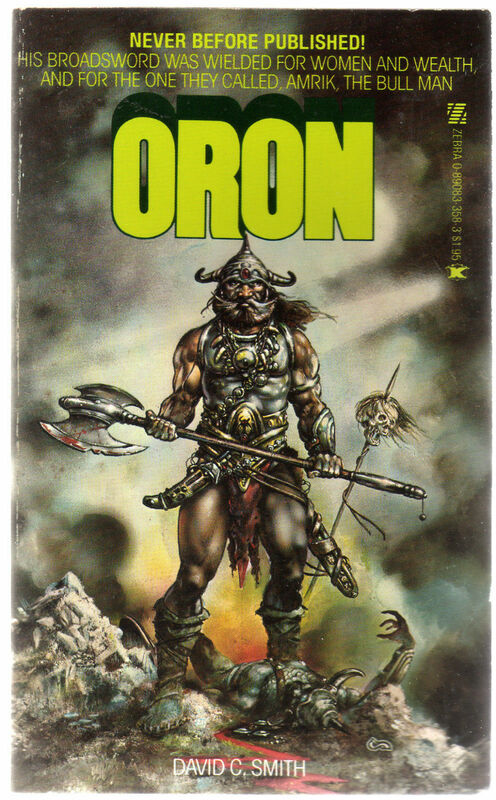 With this one, I do my best to demonstrate that sword-and-sorcery fiction can be taken seriously — by its writers and by its readers — as a literary (or at least thoughtful) form of mainstream genre storytelling. We’ve published David C. Smith’s fiction and non-fiction here at Black Gate — including excerpts from his noir thriller Dark Muse and his supernatural pirate dark fantasy novel Waters of Darkness, written in collaboration with Joe Bonadonna. The complete catalog of Black Gate Online Fiction, including stories by Vaughn Heppner, Howard Andrew Jones, David Evan Harris, Janet Morris and Chris Morris, John C. Hocking, Michael Shea, Peadar Ó Guilín, Aaron Bradford Starr, Martha Wells, Nina Kiriki Hoffman, C.S.E. Cooney, and many others, is here. “The Shadow of Dia-Sust” is a complete 14,000-word short story of heroic fantasy offered at no cost. 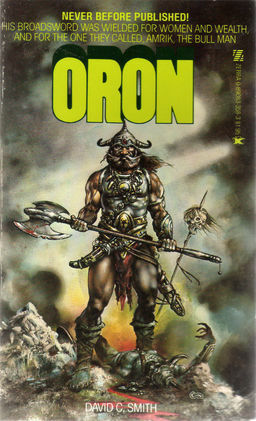 I had a copy of this book many years ago but got rid of it somewhere along the line and could never remember who wrote it or what it was called. As soon as I saw that cover, I knew it was the one. Thanks! Glad to be of service, Bob!